I am a long-time Mercurial user. It was my first choice after the switch from Subversion to the DVCS world. The decision I took by that time was based on how simple Mercurial is. From the design of the filesystem, the friendly and simple command line options, to the fact that with a single instalation, I was able to have hg web serving the central repositories to the team. The time passed and I got used to Mercurial a lot. But looking around, seems that this is not the case for everyone else. Given the popularity of Github as a coding social network, the majority of services and tools has Git/Github support, if not both. Furthermore, Git has matured a lot, is very performant, and if the entire Linux Kernel uses it, why should I use anything else? After resisting a lot for the change, I finally settle that it was time to finally make it. Now I am happy with the switch, and slowling I am moving my projects, specially the Open Source ones, from Hg to Git. After using Git for a while, the brain muscle memory toke care of the confusing CLI options and switches. I still land on StackOverflow to find some switches, tought. Despite my change from Mercurial to Git, I'm probably going to stick with Bitbucket for some projects, specially the private ones and the ones at my corporation. The current pricing model of Bitbucket that charges for team members as opposed to repositories fits better in my monthly budget. In this post, we will discuss a few ways to move from Mercurial to Git on Bitbucket, migrating the whole project, not only the repository. The first step is to backup your Mercurial repository, by renaming it. It is wise to also remove any WRITE permissions to avoid people trying to push to the wrong repository during the migration if it is a shared one. Now that the project has was renamed, let's convert the project commit history into a new, Git project. The best way to accomplish that is using the hg-git extension. This extension makes a great deal to interact with Git repositories from Mercurial itself, allowing you to simply push to the Git new path from a local copy. The --user flag tells easy_install to keep things on your home folder, making it easier to remove the extension later if you want to. The .hg suffix on the first command is required only if you renamed the repository that way. On the other hand, the .git suffix on the Git repository name is mandatory so hg-git can make the push. The commands bellow assume that you have added your SSH key to the Bitbucket account. Note: we need to create a bookmark to the default version called master. This allows the hg-git extension to also create the Git master branch. If you don't do that step, you will end up with a repository that display no branches or commits on the Bitbucket site. The push URL git+ssh will convert the project using the hg-git extension first, then upload the contents to the Git repository specified. All changesets will be converted. It is important to notice that they will also all be recreated, generating new hashes based on the Git checksum. Bitbucket wikis are also repository tied to your project. However, the project wiki, once enabled, already has an initial commit. Because of that, there is no easy way to migrate the wiki history here, since hg-git will refuse to push to the new wiki repo since that wiki has a different ancestor. The easier way to migrate the wiki is to clone both the old wiki and the new one, and then copy the contents from the old folder to the new folder. Then you can push the changes to the new project wiki. If you also use the issue tracker, Bitbucket offers a nice export/import wizard to move them to the new repository. In the source project Settings page, go to Import & Export in the Issues menu. Then you can export the issues to a zip file, that you can later import to the new repository. Note here that changeset references in the issue tracker will all be broken: since the repository was converted, the changesets references inside issue comments now point to a broken link. One way to fix this is to parse the issue file format, that is a JSON array of issue objects, and rewrite the changesets within it. In my case, I didn't bother having the dead links for now, but I'll update this post if I ever find a good way to keep the references later. With the three steps bellow, you can convert the repository from Mercurial to Git, keeping the majority of the data on the new repository. The caveats are that some issue comment links, as well as the changeset ids, will be different on the new repository. Things are getting cloudy these days. And that's good! We have a lot of options available now, ranging from bare virtual machines, to fully managed platforms, and with all kinds of containerized environments in between. This setup has some advantages over putting all into a single instance. First, it uses more than one node to host the system, distributing the load between the web-server and the database. This improves performance, and allows you to scale vertically, either by increasing the Cloud SQL instance tier, or by upgrading your VM to a more performant one. Secondly, we split software from data using both a separated database and a separated persistent disk. This aproach makes sofware updates easy to manage because the software is isolated from the data disk. Making backups with this setup is also very easy: we can enable the Cloud SQL backups to keep up to 7 backups, and also create a very simple script to backup our Moodle Data regularly using Diferential Snapshots on the Persistent Disk. The first thing to do is to sign up to Google Cloud Platform, using a Google Account. You can use the USD $300 free-trial credit to get started! The free trial credit is valid for 60 days, and it is only valid for new accounts. Sign up at https://cloud.google.com/free-trial/. Note: in order to use the free-trial, or to use the Compute Engine virtual machines, you need to setup a valid payment method, and may need to put in your credit card. To use the free-trial, you will create a new project; if you already use Cloud Platform, I also recomend you to create a new project to host only your Moodle system, unless you plan to share other resources with it. With your account setup, you can start by creating a new Compute Engine VM. Compute Engine is billed by the minute, after the first 15 minutes, making it easy to setup, stop then resume the work if you need to. Let's begin with a g1-small (1 vCPU, 1.7 GB memory) instance, that can handle a small to moderated traffic very well, and is cost effective. To launch the instance from the Developers Console, click on your project, then navigate to Compute -> Compute Engine -> VM Instances. In the Instances panel, click on the New Instance button. Under additional disks, create a new one by clicking on the plus sign, and choose create a new disk. Remember that we have attached a empty disk to the VM? Since it is empty, we need to format it with a filesystem, and mount it on a directory. To do so, we use a program shipped by Google called safe_format_and_mount, that does just that: format the disk only if it is not formated and mount it for you. Important! Use double grather than signs (>>), otherwise you will loose the root mount point from the fstab file! To create the user, click the Access Control tab, then on the Users tab, and finally click on the New User button. Now we are ready to install and configure our Moodle server! Let's get back to our compute engine VM terminal window. The tar command bellow extracts the file contents into /var/www, skipping the creation of the moodle sub-directory. Now we need to configure Moodle to use all the resources we launched. Select yor language, then click on the Next button. Moodle requires you to set some important options. The first one is the visible website address; let's keep the instance IP for now, and we change this value later when the setup is finished. You also need to tell Moodle the software directory and the data directory. 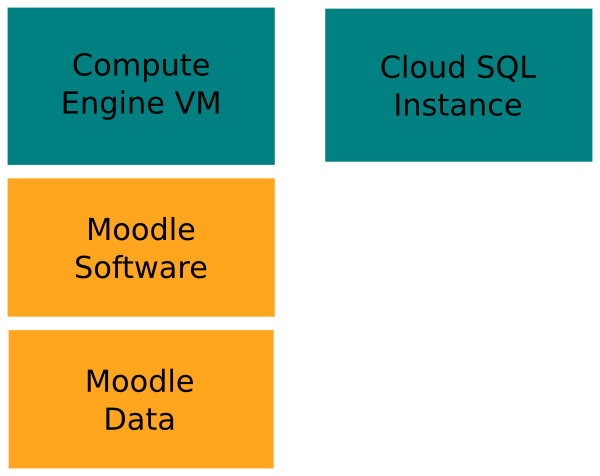 The software directory is where we extracted Moodle, /var/www, and the data directory will be the mount point we have created with the 200G persistent disk: /mnt/moodledata. Put these values and click next. When you click next, Moodle will connect to your instance, and it will start in response for the first connection. Also, Moodle will present the software license; read it, and if you agree, click Continue to install. In the next screen, if some PHP modules that are required, they will be listed in red. You can install them and hit reload to let the installer check again. If all is OK, just click on the Continue button to proceed with the installation. The next step will take a reasonable time: Moodle installer will configure all database tables, populate some initial data, prepare the moodledata directory with some cache values, and get all things in place. Wait until the page finish loading, and you see a Continue button. After all setup is completed, you can create the Admin user. The admin user is the one with access to all setup pages, and you should choose a strong password for it. After you create the admin user, you will be propted to put some basic site information. Fill the form and click Save changes. Now you should see your Moodle home page, and you can start playing around, creating users and courses, installing plugins and so forth. The cron job will run and you can check it's output at the log file. Compute Engine VMs are not allowed to send e-mail. However, you can configure Moodle to use an SMTP server hosted on another service. Google partned with Sendgrid to deliver your compute engine emails, so you can follow this page to signup to a free account that can send 25000 emails from your Google projects. Once signed up, grab the Sendgrid credentials and configure the hostname, port 2525, username and password using the Moodle e-mail setup instructions. Alternatively, you can setup Mandrill, that also has a free quota for emails per month, and provides an SMTP server connection just like Sendgrid. Add another daily cron script that backup the moodle-data disk, as well as the moodle-server disk (the boot disk). See how to take disk snapshots for backups, and take care to make your script remove old backps at the end. Change the site URL in the config.php. Moodle saves some data in the database with the full URL, so you should use the database search and replace tool to change data to the new URL. In this post, we learned how to setup a simple, efficient and cost-effective Moodle site, that can handle a mid-size Moodle traffic, and provides a good infra-structure that can be vertically upgraded in the future. Important! You will be billed by the resources used, so if you did this as a test-only, remember to remove the compute engine VM, the persistent disks, and the Cloud SQL instance. Building a Linux kernel is a nice way to learn some new skills, install a fresh and new version of your Operating System core software, and also make any optimizations you see fit for your machine. However, building a kernel is not a trivial task. From downloading, configuring, building and installing, you may get lost if you don't follow some tips. In this blog post, we are going to understand some basic steps on how to build a custom kernel from sources, using some tools available in the Debian GNU/Linux operating system. If you use any other Debian derivative, like Ubuntu or Mint, this tutorial should work as well. Why build a custom Kernel? First and most important: because you can! Secondly: because it is fun! And, off course, because you may need a newer kernel to support hardware, or may need to rebuild the kernel to enable specific features. It is also a good experience that allows you to hack into the biggest open source project, see all available configuration options and disable those that you may never use, making a slim and optimized kernel for your machine. 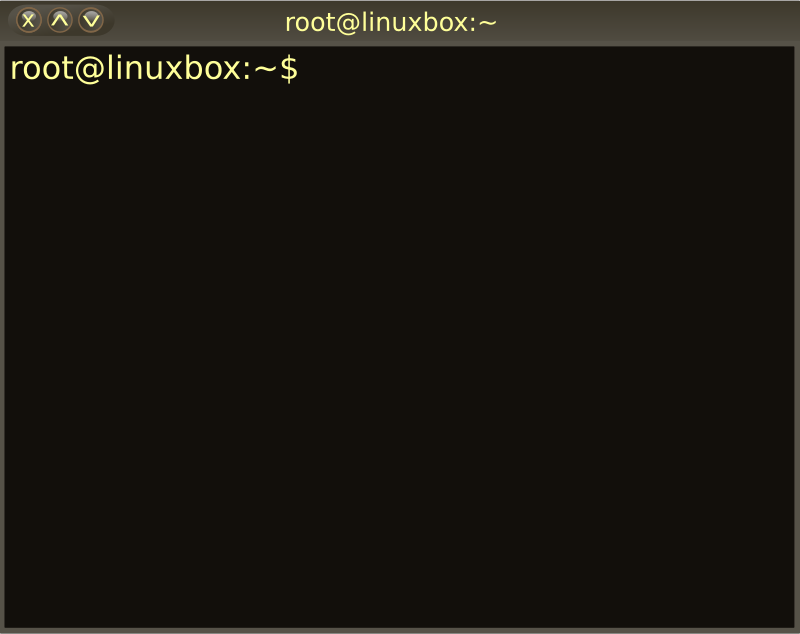 In Debian and derivatives, all packages are installed by the dpkg tool, or via the apt command-line and it's friends. These ensures that every file installed by your package is tracked by the system, allowing you to properly upgrade or remove it later. If you install something in Debian without using dpkg/apt, then you risk compromising your system and any future upgrades from Debian. Building a Debian package is a complex task by itself: you need to follow a set of rules in order to do it right. But for some commonly used software, Debian also provides a few tools that help you automate the process of generating a .deb installable file out of the source tarball. This is true for the JDK, as well as for the Kernel. This process is simple, except from the configuration options: if you don't know how to configure the kernel, you will get lost with the make menuconfig script. Since configuring the kernel itself is a hard thing to properly understand and master, let's use another script to to that in a more automated way. Instead of make menuconfig, use: make olddefconfig. This will take the current running kernel options as a base, and update it to match the new kernel options, using the default values for new options. That's it. The script downloads the latest stable kernel from www.kernel.org, unpacks the source in the current directory, runs a simple option to automatically configure the kernel based on your current running one and uses auomated defaults for newer build options, and then compiles the kernel using the make-kpkg tool. This process will generate all .deb files for you: the kernel image, a linux-headers package and a package with debug symbols. Super easy! The script uses wget to download the kernel package for you. It parses the kernel.org HTML output to find the latest stable version, and downloads that version tarball for you. You can avoid autodetecting the kernel version to download a specific one with the -k switch. Once downloaded, the script unpacks the source tarball. After that step, the script runs the make olddefconfig kernel configuration script. Altought simple, this can be odd if you are using a very different kernel release than the one you are building. You may be prompted to set some options by hand, and if unsure, just press ENTER to use the default value. The next step is to build the kernel, and the script passes a few parameters to make-kpkg, such as a custom version tag (~custom1). This version number uses a tilde, so your kernel package may be upgraded by the oficial Debian kernel release once it is available in the repositories. The script also uses some other build options, like the -j flag that enables parallell build and use all CPU cores available. This installs the packages built by the script, and you can then reboot your machine to use the new kernel. The make-kpkg tool builds a package that contains all triggers that will update/generate the initrd file (necessary to boot), and appropriate Grub menu entries. Building the Linux Kernel is a very interesting task, that can help you better understand how an operating system works and learn more about the options available to optimize and customize your machine software. In this post, we saw some tips to build a Kernel suitable to use on a Debian-based distribution, and how you can make use of a helper script to generate a Debian package that integrates nicelly with the operating system software. Disclaimer: I have tested the scripts and commands provided in this post on multiple machines without issues. The source code is provided as is, without any warranties, and I am not resposible for any damange that you cause to your software or hardware when using it. Use at your own risk. There is no single tool to rule them all. Each Google App Engine runtime has it strengths, but sometimes you can't afford to reinvent the wheel and reimplement something that is ready to use in a library, because of the language you choose for a project in the first place. With the App Engine Modules feature, you can mix and match different programming languages that share the same data in a single Google Cloud Platform project. In this post, we discuss what the modules feature is and how to leverage it's power with a sample application that mixes Go and Python. For the impatient, here is the source code https://github.com/ronoaldo/appengine-multiple-runtimes-sample. Google Cloud Platform has a top-level organization unit called Project. Each project comes pre-configured with an App Engine application. By creating a project, you have access to a Cloud Datastore database, Memcache, and Task queue, all ready to use. In the early days of App Engine, your app could have multiple versions, but there was no option to configure backend machines. Once the now deprecated Backends configuration was released, there was no way to deploy multiple versions of them. With the Modules feature, you can split your application and have a different set of configurations for performance, scaling and version under the same Project, one for each module. This allows you to mix different runtimes, but still share the same state in the same project: all modules have access to the same resources, such as Datastore and Memcache. This allows you to, for instance, create a backend in Java that generates reports with the App Engine Map/Reduce, while you leverage Go in the frontend, also called the default module, that has auto-scaling. That's just what I want! How to use this stuff? You can have any setup you want depending on your codebase. The Modules API just requires you to specify the default module, and any other number of non-default modules when running and deploying. You specify the module name using the module: directive in app.yaml and the <module> XML node in the appengine-web.xml configuration files. A file that does not contain any module directive, means that it is the default module; you can also explicitly set module: default, which I recommend, to avoid mistakes. To create other modules, all you need is to configure their names on separate configuration files. For Java, you can also use the standard project layout of an EAR (Java Enterprise Application) and set the configuration options under each application folder (each module). Make sure that go-frontend/app.yaml has the module: default directive. Make sure that both app.yaml files have the same application: element value. Use the gcloud command to install the App Engine SDKs. The gcloud preview app subcommand will then parse all files you have and launch them locally. The default module run on port 8080, and the py-backend on 8081, so you can address them by the port number. Each module can live on separated source code repositories, making easy to manage their lifecycle independently from each other. You can deploy a single module by just putting only one folder on the command line. Remember that all modules share the same state, but not share code. That said, be careful when changing the datastore. For instance, if you have a struct in Go that saved more properties than you Python db.Model has, you may lose data! In this particular case, it would be nice to use something like a raw db.Expando (Python) or a datastore.PropertyList (Go) to manipulate the data on the non-default module or to always keep your models in sync between the codebases. When deploying, you may need to convert your app performance settings to modules. That means you no longer can change instance class on the Application Settings, and instead, you need to specify this in the app.yaml / appengine-web.xml files. (See the modules documentation on how to migrate). This scenario is particularly useful to run App Engine Pipelines or App Engine Map/Reduce jobs using the Python runtime backend while keeping the front-end in Go. Some settings are global to your appliation like the task queue, cron, and dispatch entry definitions. So keep these files, queue.yaml, cron.yaml, and dispatch.yaml, only on the default module. If you have three queues defined in the go-frontend folder and only one in the py-backend, then if you deploy only the py-backend, only one queue will be on the server, and this can break things, particularly for the cron job definitions. If I have custom domains, how can I make this work? Any string that does not match a module is handled by the default module, and any string that does not match a version, is handled by the default version of the module. This is the same for *.your-app-id.appspot.com domain that you have for free in your app. You can also configure some rules that change that behavior using the dispatch.yaml (dispatch.xml) file. This file allows you to specify wildcard URLs and say from which modules they will be served. For instance, you can map */report/* to route requests to any hostname, that have a path starting with /report/, to be served to your Python backend. Note that, if you dispatch /report/* to the python backend, the python backend handlers will handle requests with that path prefix (/report/), and not at the root path. Therefore, you need to map you WSGI app using that path as a prefix. See more about routing requests to modules in their docs. Check out the sample code dispatch.yaml as well. With Modules, your App Engine applications can be composed by a more robust infrastructure, allowing you to mix different programming languages and runtimes. If you work with micro services on App Engine, this is a great fit to better take advantage of your app resources using the right language and tools to do the right job. Update 25/03/2015 - Fixed grammar errors, and added clarifications to first paragraphs.